There’s a new and affordable customer acquisition service to hit the HVAC marketplace and it is called Pay Per Lead from HVAC Webmasters. This service allows contractors to acquire exclusive HVAC leads without paying an upfront fee. 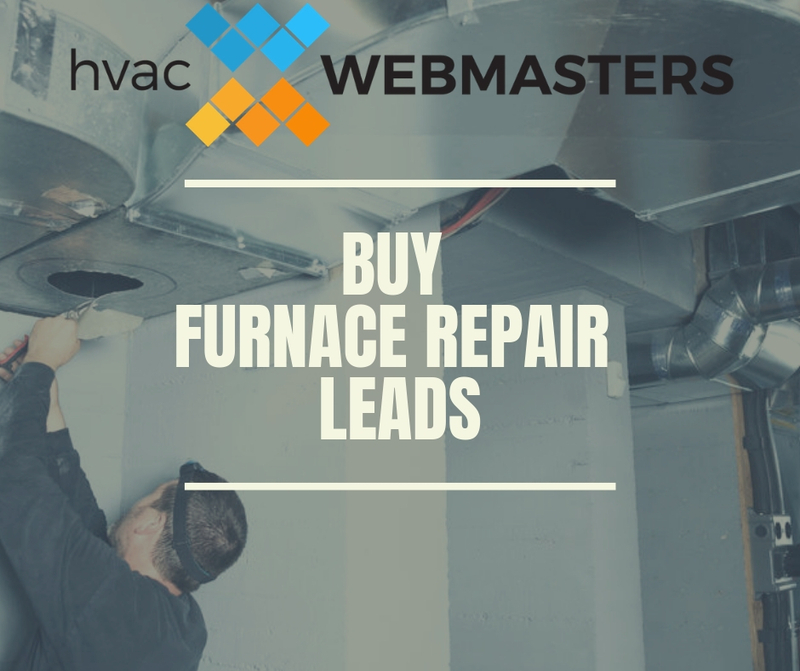 Today’s blog post puts a special focus on furnace repair leads, which you can buy this winter using the Pay Per Lead agreement. Be sure to check out our top 20 furnace repair keywords as well. Because the weather has gotten much colder across the country, and the dead of winter is not even yet upon us, homeowners and commercial building owners will surely see a spike in furnace problems. HVAC contractors must be ready to meet the spike in demand by becoming the most convenient supply. The best way to do that is to appear online, and on Google specifically. Whether it’s Google Maps or organic search results, leads come from visibility. As an HVAC contractor you’re usually faced with the choice between a lead generation company and an SEO company. There’s upsides and downsides to each, but the negatives can be extremely frustrating for contractors. Lead gen services tend to be less reputable, and the ones that are more legitimate, will sometimes offer what are known as “shared leads.” While they are technically leads, contractors are forced to fight with several other competitors in the same market to close the sale. So while it’s a lead, its inherent value is minimal, since it’s already been exposed to your main competitors. As for SEO companies, they can help you get leads too, but generally charge a major upfront fee for the web work. What happens if all that work fails to produce leads? Well you’re out of luck, and out of a lot of money. And who has to answer for it? Your bank account. What Does Pay Per Lead Mean? There’s other companies out there that provide some aspects of our PPL services. But few, if any, provide the combination we offer. We are a full service digital marketing company and nationally renowned HVAC SEO experts. We are also known as one of the top website design companies for HVAC contractors. With PPL from HVAC Webmasters, you enjoy all the benefits of our strongest skills, but don’t risk negative ROI. By integrating a Per Lead agreement, contractors can now get what they pay for, both literally and figuratively. Traditional lead companies don’t generally offer our range of marketing services, including SEO and design. As for SEO companies, there’s always a risk with upfront payments. You can see all the reports and numbers from your agency of choice, but the reality of SEO is that every campaign is different, and nothing is certain. So why would you pay for the process of MAYBE getting leads, when you could pay for the leads themselves? We’ve heard countless stories from our clients about their previous SEO firm doing them wrong. They end up not delivering what was promised. Our PPL plan ensures that results are incentivized, and that the customer comes first. If you would like to learn more about how to buy furnace repair leads, give us a call today at (800) 353-3409.